Looking for something magical to share with the kids this holiday season? 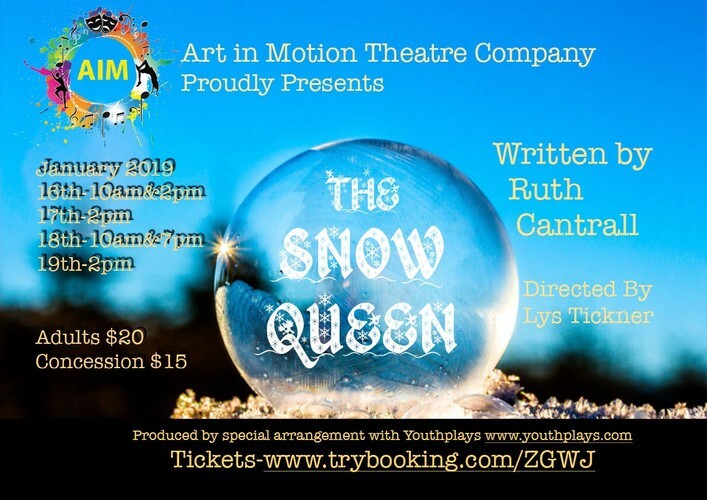 Art in Motion Theatre Company (AIM) brings the classic story of The Snow Queen to life this January at the Don Russell Performing Arts Centre, Thornlie. 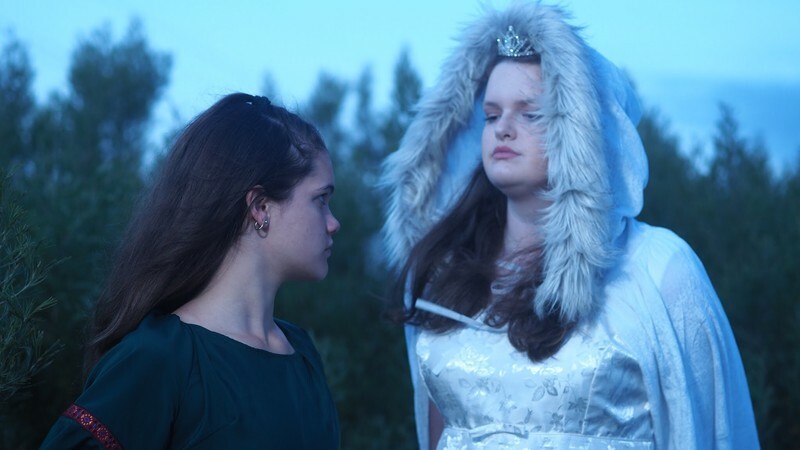 The Snow Queen tells the story of brother and sister, Kai (Jack Churchman) and Gerda (Hannah-Jade Keppler), who are separated by the evil doings of the Snow Queen (played by Lilly Reynolds). The story chronicles the perilous journey Gerda takes to get her brother back safely. This adaptation, by Ruth Cantrell, stays true to the original Hans Christian Andersen story so it is sure to delight the whole family. With seasoned Director Lys Tickner at the helm, The Snow Queen marks the inaugural production for newly formed theatre group AIM. BUT don't let the word “new” fool you, the committee behind this production has over 50 years of combined community theatre experience and are very passionate about sharing that knowledge with the talented young cast. And what a cast it is. 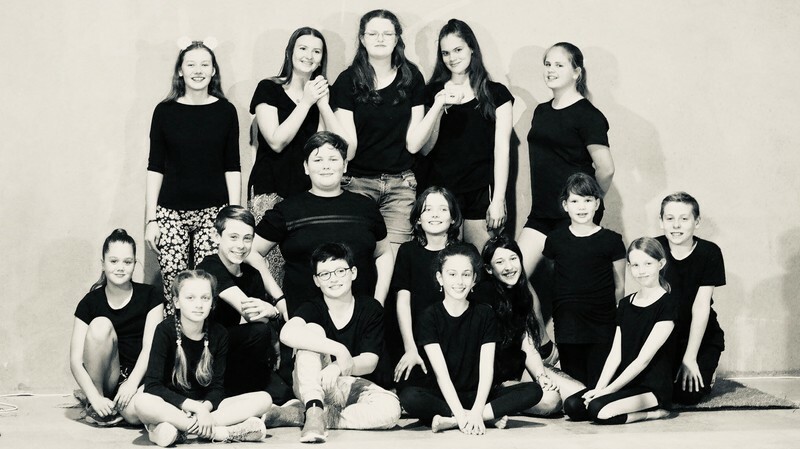 There are 22 highly excitable, highly energetic and highly talented young people in this cast with an age range of 9–15 years. 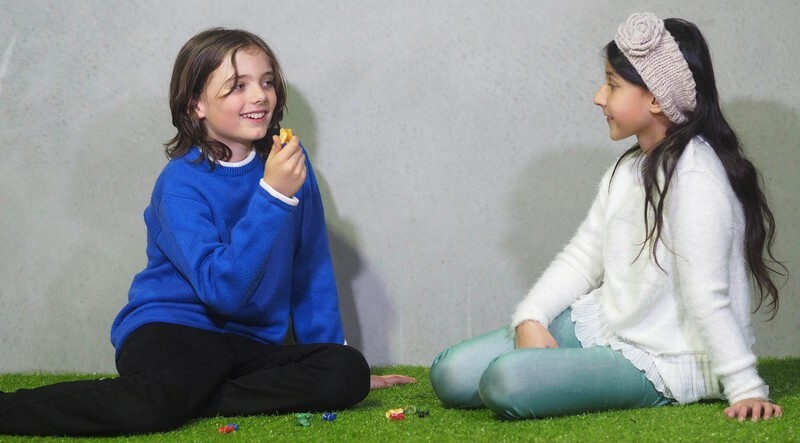 "I love working with these young performers," said Director Lys Tickner who herself is no stranger to youth productions. She has directed other notable youth favourites such as High School Musical, Charlie and the Chocolate Factory, Alice in Wonderland and many others. “Their energy, passion and talent just blows me away. With hours and hours of rehearsals under their belts it is a show you won't want to miss. The Snow Queen stays relevant even today. It is the story of how love will always be the strongest emotion and can overcome every obstacle”. The Snow Queen is aimed at a young audience and is the perfect school holiday activity to be enjoyed by the entire family, so bring great Grandma along to relive the magic of this all time childhood classic and make 22 super talented Perth kids very happy. The Snow Queen, Don Russell Performing Arts Centre Thornlie, January 16th–19th with both matinee and evening shows available.